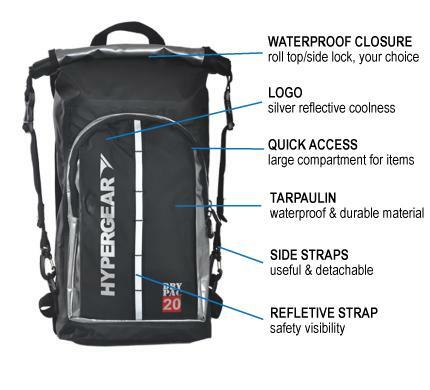 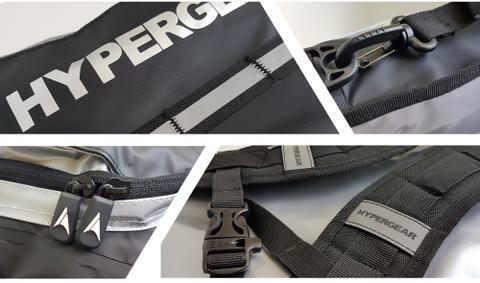 HyperGear Dry Pac Compact 20L has a roll top lock and side lock. 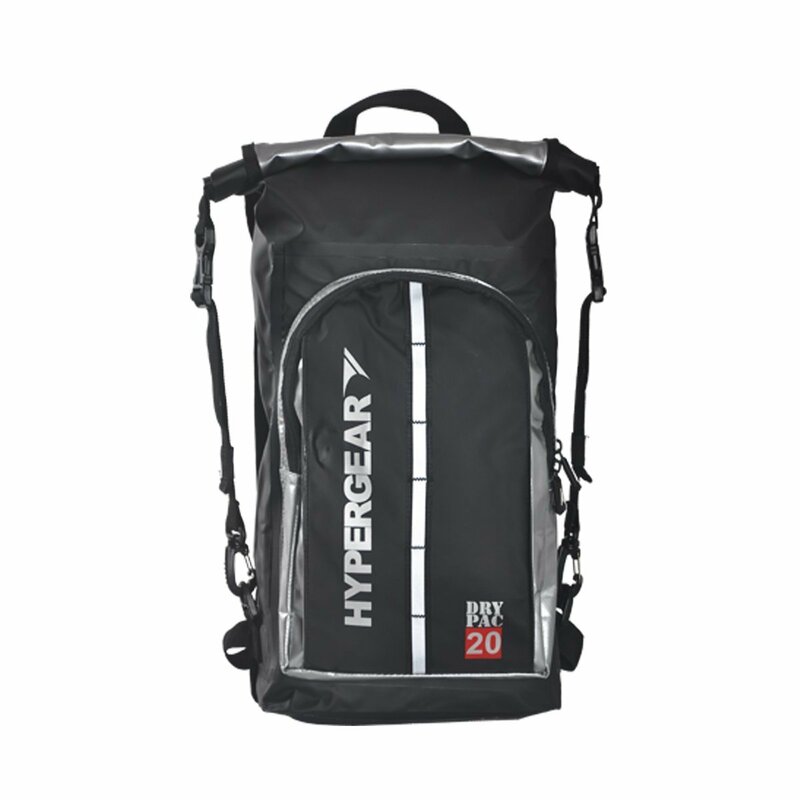 Its side buckle lock is removable and the bag has multipurpose inner pockets to store laptops, phones and your other gadgets. 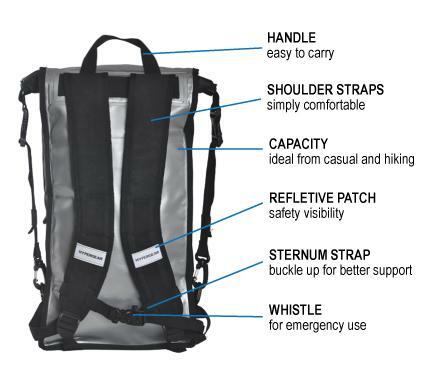 For easier carriage, you can remove the back and waist padding, and adjust the sternum strap too.